Roast turkey is always absolutely delicious at Christmas. First steamed with aromatics, then roasted until the skin is crisp, this roast turkey recipe results in a bird that is beautifully tender, moist and full of flavour. 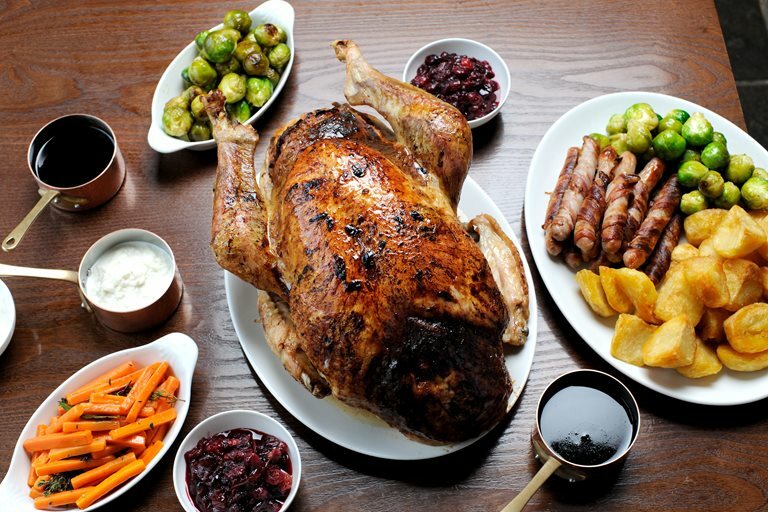 As well as apricot stuffing, serve cranberry and bread sauce with the turkey, along with plenty of beautiful vegetables and roast potatoes with lots of gravy. The cranberry sauce recipe Dominic Chapman shares is generous, but always used up the following day with the cold cuts.